Of course, photo albums have become extinct, but that doesn’t mean we forget clicking pictures for memories. For all those times when I’ve wanted instant pictures, a retro inspired Polaroid camera is what I’d think of. Isn’t it fun to own one which would print your snaps immediately, the idea itself excites me enough. 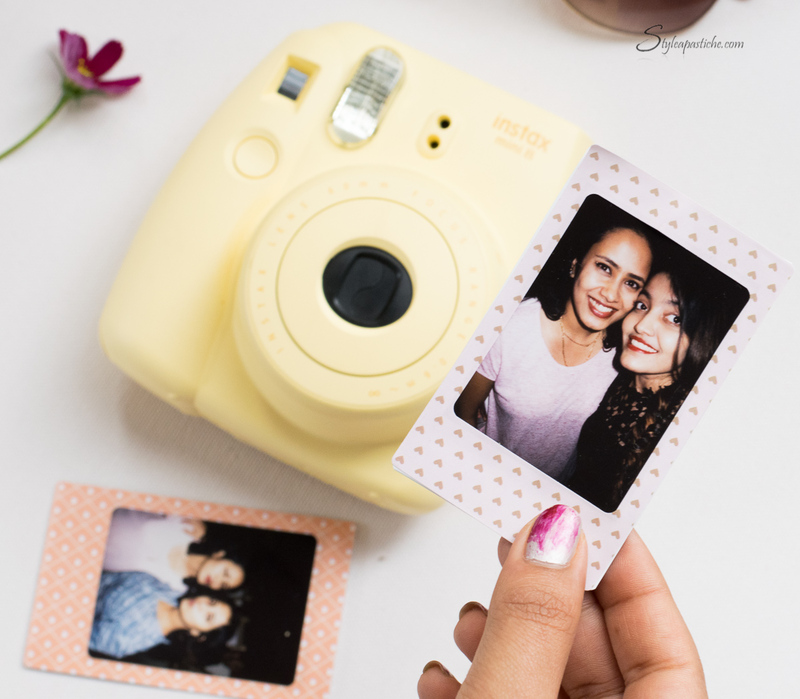 Although we live in the age of Instagram and Snapchat, nothing can take away the joy of clicking retro pictures with this Instax Mini 8 analogue camera. A basic point and shoot, toy like camera that takes pictures and develops them instantaneously, with a retro vibe to it. I’m particularly in love with this one in yellow Matte exterior. That’s such a fantastic idea Pam! Retro pictures are still amazing.. it’s nice being able to keep memories online via instagram and others but I still like to be able to print a picture for a wallet or decoration.. or even like you said for retro party theme. Hey is the film paper available in a printed form? No, I purchased stickers for the frame! What a cute idea!!! From where?